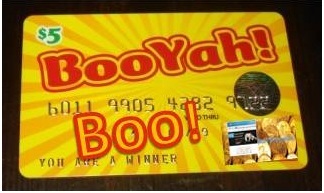 One Big Booyah! 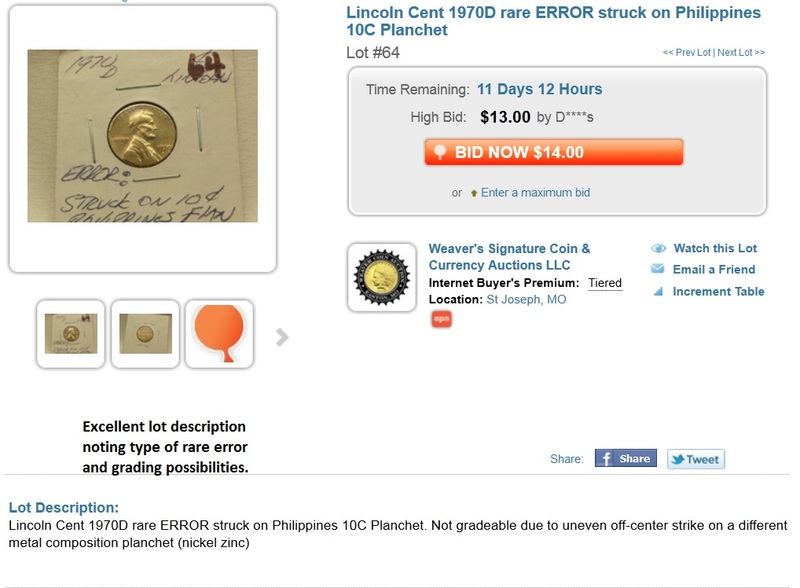 to Weaver Auction, not only for identifying a US coin minted on a foreign planchet but also describing why the coin might not be grade-worthy. Pretty sophisticated numismatic stuff going on here. 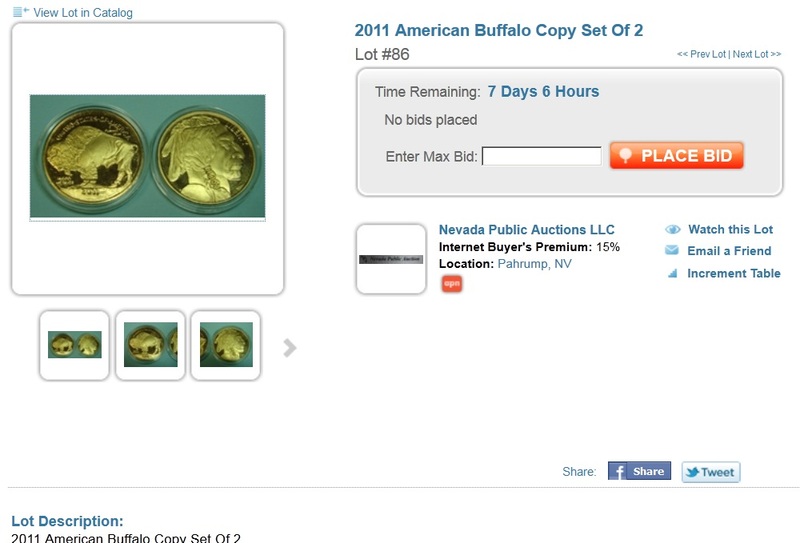 Booyah Nevada Public Auction! for noting that these are copies rather than bullion gold. 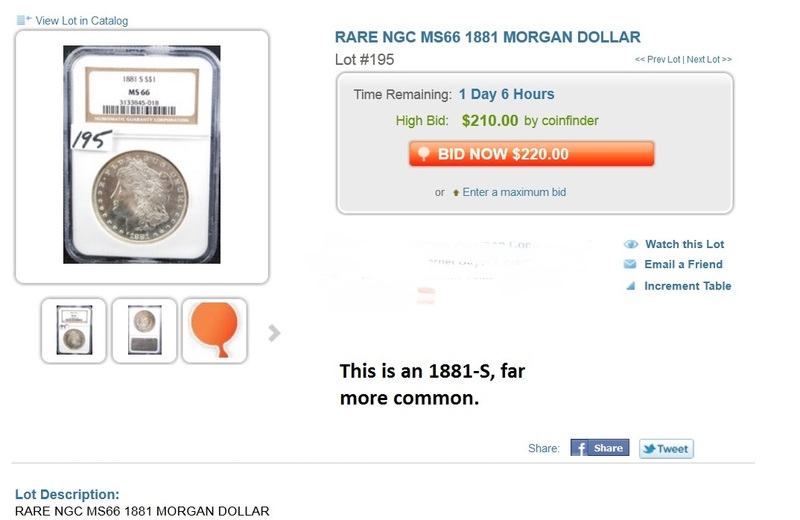 As we reported previously, due to eBay’s policy on copies, many of these so-called coins would flood the Proxibid market. Be sure to note copy or replica when you see one … and consider not selling it if it lacks “copy” on the surface of the item. Anything else may be a violation of the Hobby Protection Act. Booyah Kaufman Auction! for noting that this coin has a scratch, which often are too faint to see even on the best digital photography. 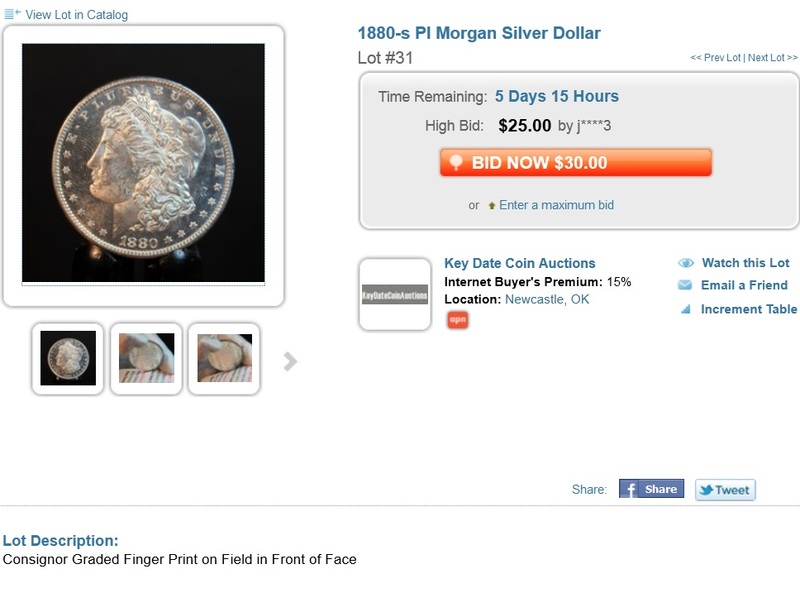 By identifying flaws in a coin, you earn bidder trust. Booyah Western Auction! for noting scratches. We encourage every consignor to inspect coins for any flaws, the most common of which are cleaning, artificial coloring, scratches, plugs, whizzing, tooling and environmental damage. Booyah Key Date Coins! for noting that the consignor graded this coin and, perhaps in doing so, left a fingerprint on the surface. 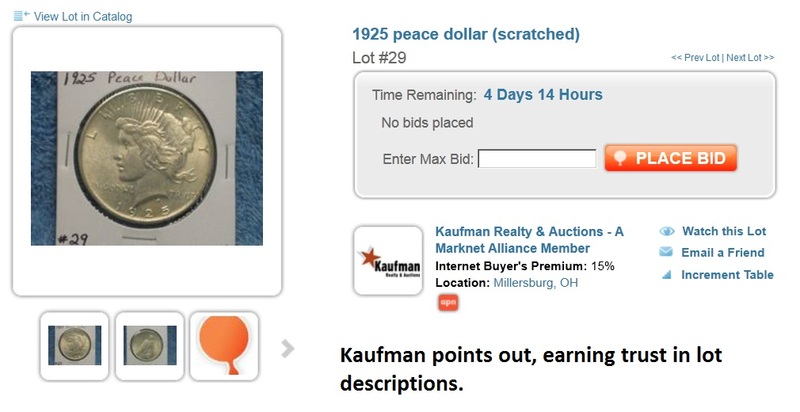 Fingerprints detract from a coin’s worth, but again, digital photography sometimes may not pick that up, so we have to rely on the auctioneer. Boo! 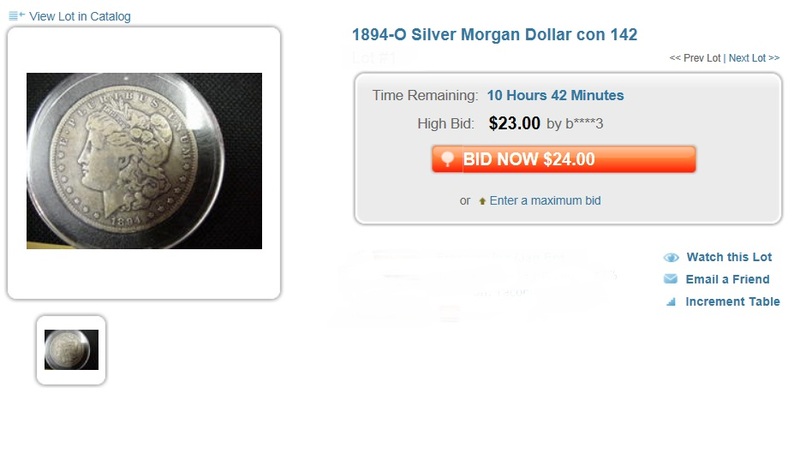 to this unnamed auction house that does not provide pictures of the reverse of a coin. We’ve seen this shortcut before, even by some of our favorite auction houses. So we have to call these shortcuts as we see them and hope that the house provides the reverse before auction time. Booyah Brian’s Auction! 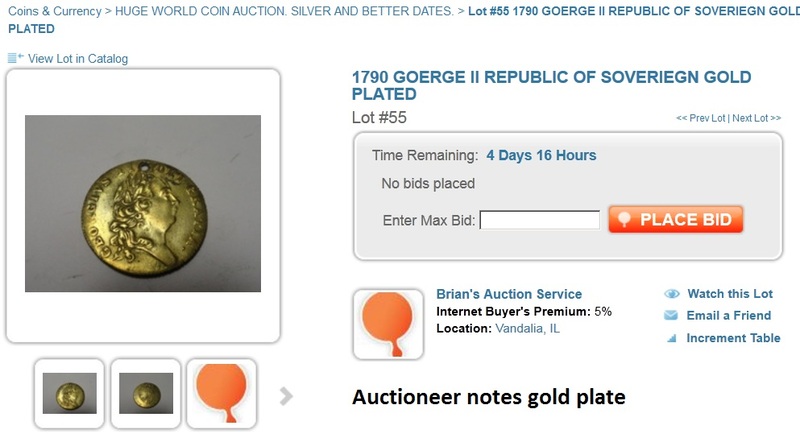 for noting that this seemingly rare coin actually only is a plated replica, probably brass, and not worth listing (in our view). True, some folks collect counterfeits but others try to pass them off as real. One Big Booyah! to Silvertowne Auction for noting that the holder has been cracked and seemingly opened. 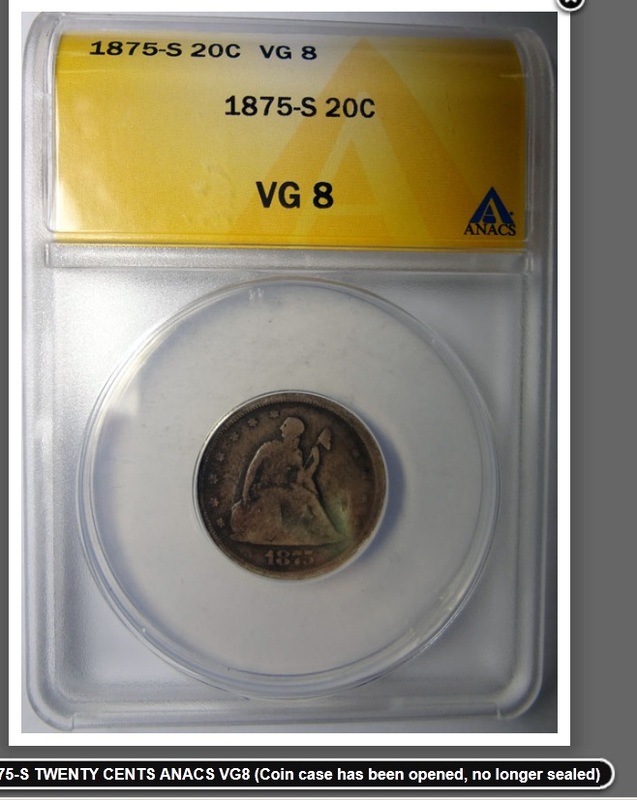 Sometimes fraudulent sellers slip in a lower grade or problem coin with the same date and mint mark. Silvertowne calls our attention to that. Boo! 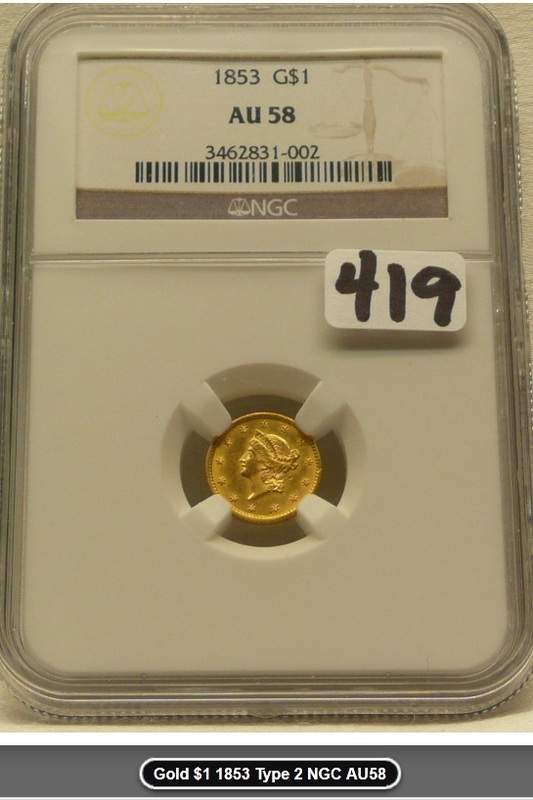 to this unnamed auction house listing an 1853 $1 gold as Type II. That rarer type begins in 1854, so this couldn’t be Type II, which features a different Indian princess and planchet size. Booyah Fox Valley Coins! 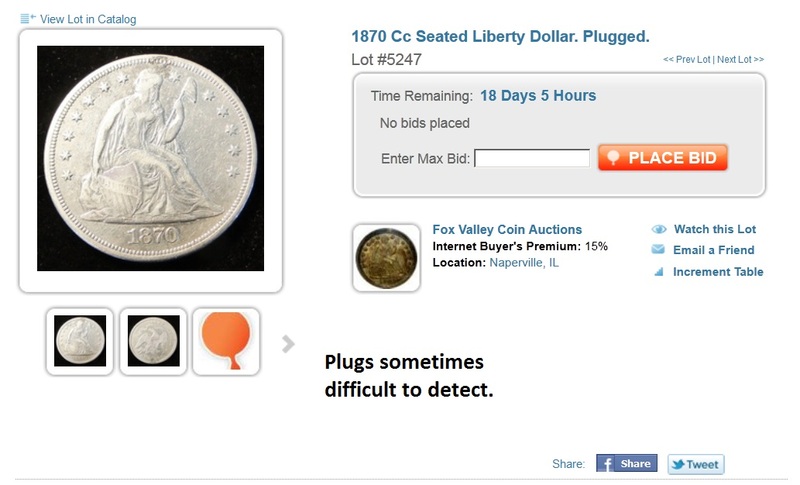 for noting that a scarce Liberty dollar has been plugged and repaired, a difficult flaw to detect at times and one that an auctioneer needs to share in the lot description. 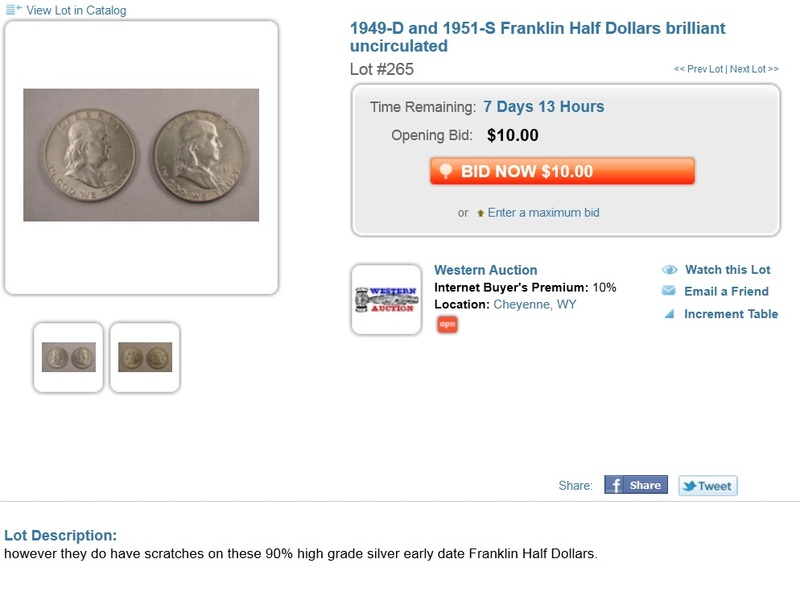 This entry was posted in Best Practices, Boos and Booyahs!, Featured Updates and tagged Brian's Auction Service, Fox Valley Coins, Kaufman Auction, Key Date Coins, Nevada Public Auction, Weaver, Western Auction. Bookmark the permalink.